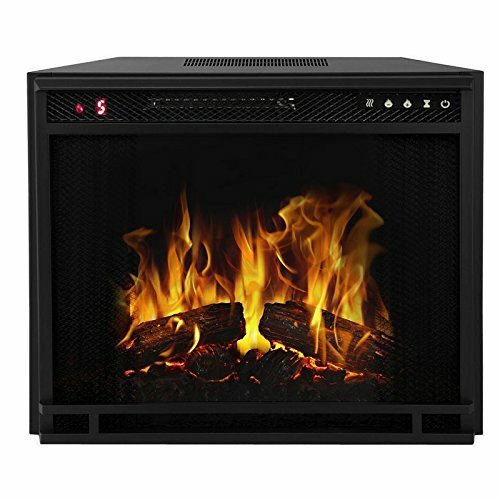 The 23" Electric Fireplace Insert offers cozy warmth and 125 flame technology to create the perfect mood for any setting. 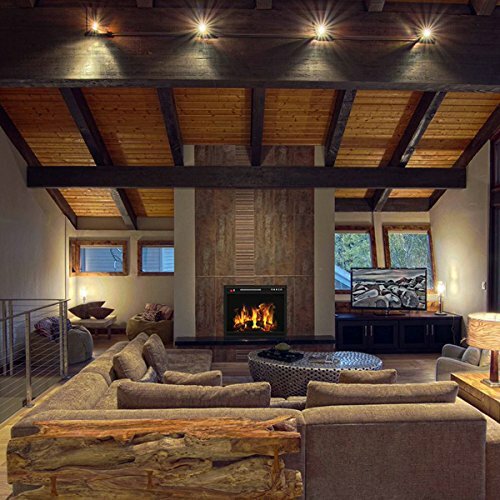 This fireplace insert has been developed with the highest technology allowing you to choose from three flame speeds, three brightness settings and three heat setting of high, low of no heat. Flame effect can be used with or without heat for all year-round enjoyment. 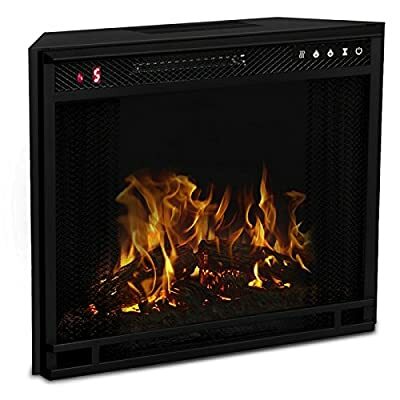 This advanced fireplace insert also offers overheat protection technology to monitor the temperature in your electrical outlet and shut off the heater if unsafe conditions occur. This insert includes a fully functional remote control for every setting of the electric firebox insert. 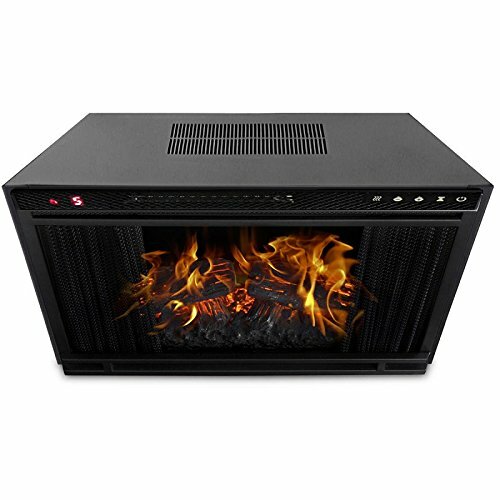 With this electric fireplace, you no longer need a firewood rack, fireplace tote, firewood log carrier, haul wood, purchase gel, ethanol or run gas lines. This fireplace is smokeless, soot free, and odorless. 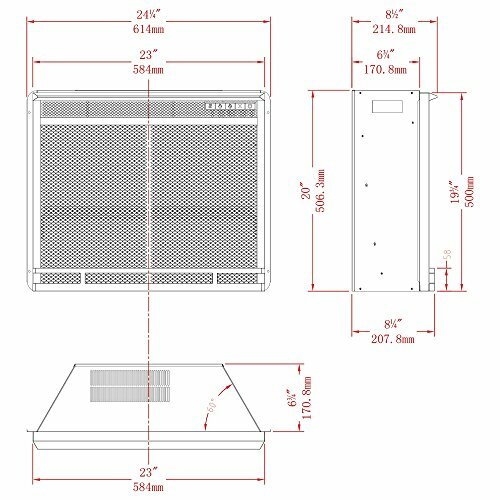 In addition, you may use this fireplace outdoor (under if covered so the fireplace is not rained on), enjoy the ambiance as a fire pit without the smoke or convert Gas Logs, Wood Log, gel fireplace, any other Fireplace Insert or Wood Burning Fireplace Insert to electric has never been easier. You may also build a fireplace mantel around this fireplace or insert it into a TV Stand. This fireplace is eco-friendly, very ecomonical and ventless that works on standard 110 volt outlet.